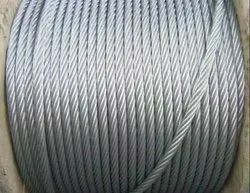 - Assortment of Galvanized Iron Wire: Electro galvanized iron wire and hot dipped galvanized iron wire. M/s. Swastik Wires is one of the dependable Manufacturers & Suppliers of Hot Dipped Galvanized Iron Wire. We offer an extensive range from Hot Dip G.I. Wire for diverse businesses at competitive prices. Our range of hot-dip zinc-plated wire and electro galvanized iron wire are well known for its high flexibility and softness. We can provide our range in various sizes from BWG8 up to BWG16. The zinc coated range is available in 100g/m2, 200g/m2 and 300g/m2. We do single coil packaging for hot-dip galvanized iron wire which varies from 10 kg to 1000 kg. We are only Looking for Local Queries. Our firm is among the trusted names, engaged in providing Hot Dipped Galvanized Iron Wire. 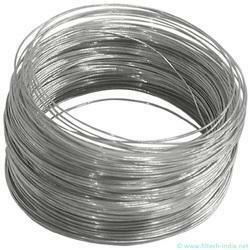 Galvanized steel wire is a versatile wire that has undergone the chemical process of galvanization. Galvanization involves coating stainless steel wire with a protective, rust-preventive metal, such as zinc.